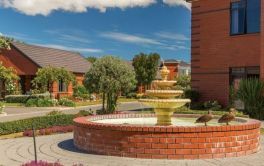 SUMMERSET AT BISHOPSCOURT (DUNEDIN) is located in , Dunedin and offers dwellings with of independent retirement living. × Have you visited this facility? 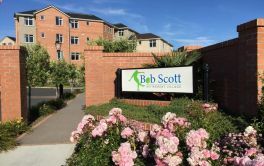 Help others who are looking for a place by posting a review on SUMMERSET AT BISHOPSCOURT (DUNEDIN) or review a different facility now. 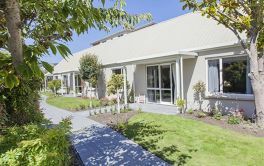 Fantastic location close to bus route, supermarket, main roads, Kaikorai Common walking/cycling track and walking distance to the CBD. We enjoy a wonderful view over the Common natural reserve. Colder spot on clear nights though often warmer during the Nor' Easter days. Excellent library, spa and fitness area. Acceptable café. Smaller village that's been somewhat compressed on a small site which has lead to narrow road ways, limited parking and tight garage entry. Not all common areas are treated equally. The most visible areas receive far more attention. Common lounge area is too public and basically a thoroughfare. Act on queries, complaints and follow through. As I am still in FT employment, living with Partner totally independent of village features difficult to rate some of these features. I am happy here and am very pleased that I came here over four years ago. Very well managed village. Very good caring staff. I live on my own; I'm comfortable with that. I tend to be a 'loner'. My memory for names is a disadvantage. How can I remember people's names? 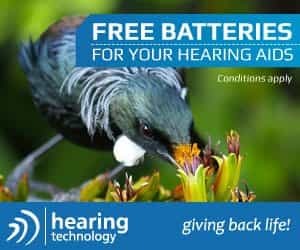 Community living, can summon help quickly, social activities such as exercise classes. Loss of some independence, have to consult management re house alterations. Relatively high fees. 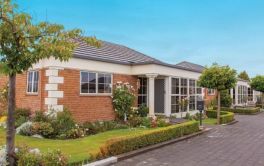 The layout of the village in Dunedin is rather cramped with a lack of foot paths a feature. Too many villas on a small site.